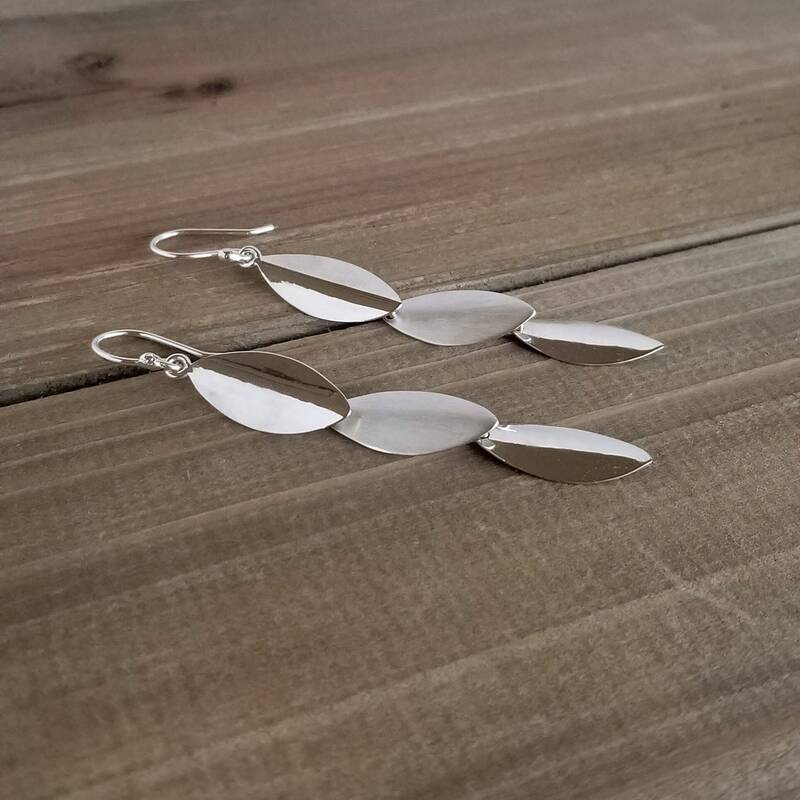 Jointed together to create movement and subtle contrast, polished leaflets and matte accents present a pair of sterling silver earrings that magically captures the flutter of falling leaves. 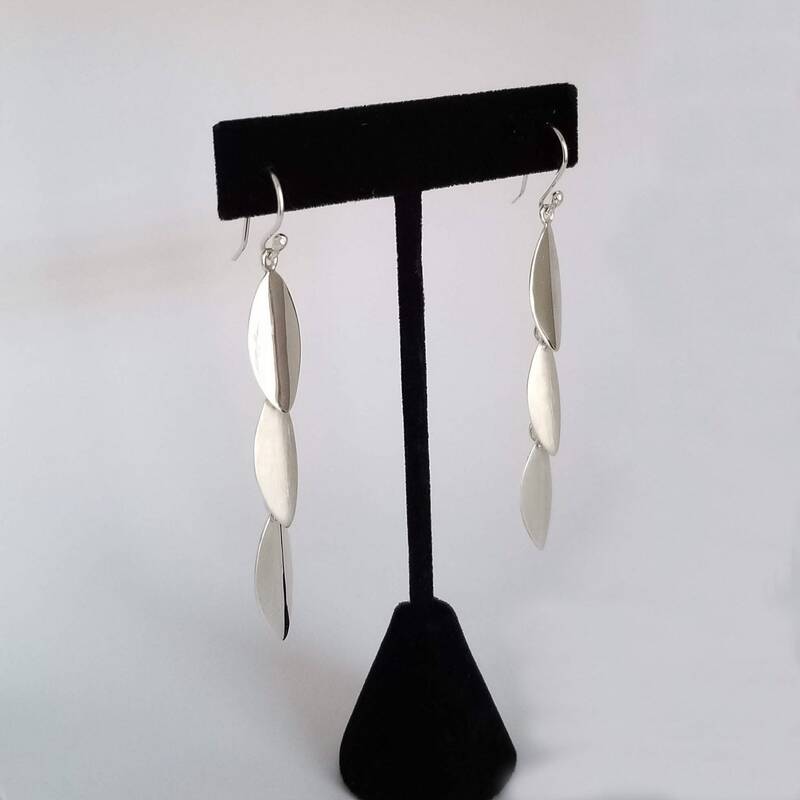 Finished with hook wire backs, the drop earrings are convenient, comfortable and easy to wear. Slip them on to celebrate the joys of autumnal wonder! Each one of our pieces is handcrafted individually to preserve the quality and craftsmanship of your new jewelry piece. We guarantee full satisfaction or full refund.